This blog is more likely to include posts of a political nature - and one that requires sisu on the part of many! Archives dated prior to March 2008 are entries moved across from either LiveJournal or Octant. It ain’t no Arab ‘spring’! The Daily Bell does it again! Hey, UNESCO! Rachel’s Tomb in Israel is NOT a mosque! OS X Server 10.5 → 10.6 – not as straightforward as one would hope. In a nutshell: how our system of government works. Propagating murder is not an expression of free speech! ‘Durban-II’ – or how to make a mockery of the U.N.
Schapelle Corby not over yet! World’s Second Oldest Grand Lodge (finally) admits women! towards safer airports and the loss of human dignity. On the lie of suicide bombings: how to maximise support by presenting murder as suicide. Concerning the Catholic Church’s Parochial Discernment on the Admission of Homosexuals to Holy Orders. Are Asian nuns being used as guinea pigs for genetically modified food-stuff? Though there are some situations where the migration of animals needs to be supported (read below), live exports destined for slaughter needs to be abolished. 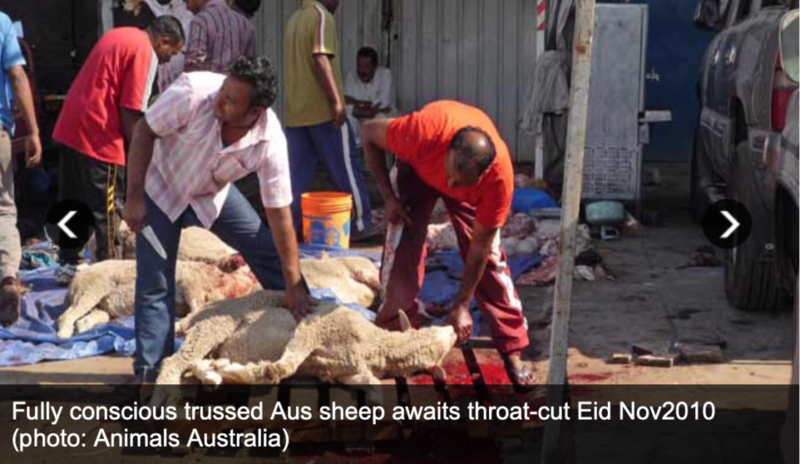 There are a number of reasons why Australia exports live animals to various parts of the world. Some of these are, from my perspective, perfectly reasonable, and the welfare of the animal will be paramount. For example, when a prime horse, cattle, or sheep are exported for reproduction and valued for their genes, we can generally be quite confident that these will be not only well cared for during transport, but also valued ‘prizes’ when arriving to their new home. 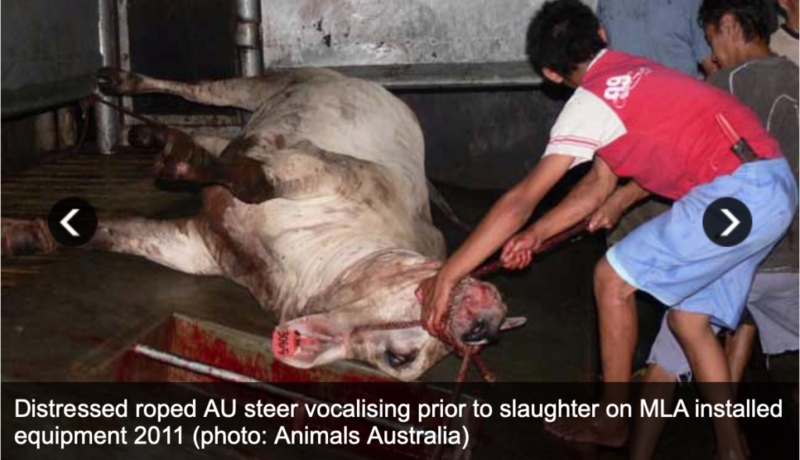 The other side to the live export scene is, on the contrary, horrendous: basically, animals are packed in what is reminiscent of barbaric times, only to arrive to their destination to be slaughtered in ways that would not be permitted in Australia. 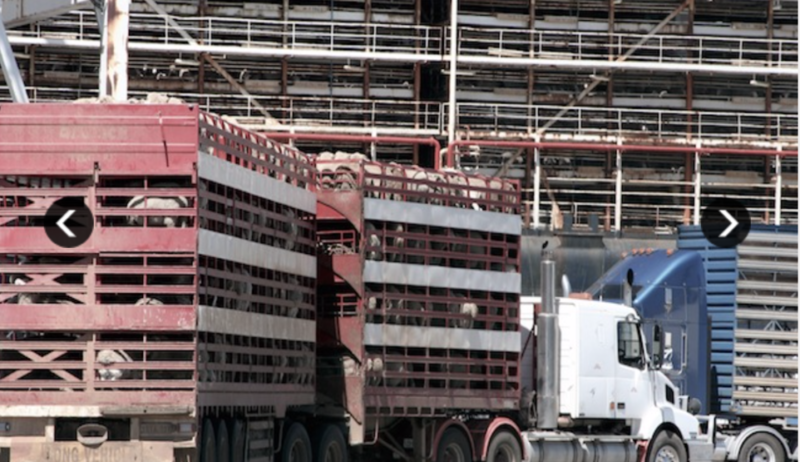 When they are slaughtered in a manner that would be permitted in Australia, the question remains as to the necessity to have them transported in such a distressing manner in the first place. Australia should lead by reasonable and caring example. If we continue to have farms to provide meat, which inevitably means having the animal slaughtered, then the responsibility for their care up to and including their final day rests in Australia. It seems that the terrible act that recently occurred in Christchurch, New Zealand, is receiving the kind of media attention and reflective commentary that has little been seen since the Port Arthur (Tasmania) or Hoddle Street (Melbourne) shootings that took place decades ago. And that discussion (not the act) is something commendable, despite the shocking horrendous act the gunman saw fit to do. For those who may not know (and I realise that many friends and acquaintances are aware of it) one of my closest friends was one of the seven people who died a victim in the 1987 Hoddle Street shootings. It is not only shocking, but the strain and pain it leaves is deeper than when someone dies of terrible but ‘acceptable’ causes, such as cancer or a car accident (and at my age, each of those has occurred). To try and understand the mindset of someone who decides to either randomly target individual people or who targets non-violent people based on their own worldview is difficult for us in the western culture. I personally think that, collectively, we have striven to cleanse ourselves of this mental detriment following the horrible events of WWII. Yet to strive to have a discussion, understanding must take place. I am reminded of a statement my grandfather made to me in the 1960s in France – he was old enough to have fought in WWI, and still young enough to also have fought in WWII… and somehow managed to live through both! – he mentioned that it is important to be able to understand and battle the ideas (in this case nazism) in order to avoid have to battle the people (in that case germans). Ie, unless one has the audacity to speak against worldview and points of view with which one disagrees or finds unworthy of civil society, one risks having to later on engage in not just a war of ideas, but the hideousness of warfare. Where are we at in the West? increasingly it seems that people are unable to speak against points of view or religious views for fear of either ‘offending’ or, in some cases, of violent reprisals. The case in Australia of Section 18C as something introduced to placate religious views is a case in point. Where one is not able to speak and discuss and be critical of certain viewpoints, it is unfortunate that some will take the very path of violence that should never be tolerated. On this note, the Liberal Democrats have always been strong in two areas with which I agree: small government and repealing Section 18C that goes too far in prohibiting discussion. Where they have gone too far is in the view now proposed for all-too-easy gun access. It should be remembered that most guns have been designed for the purposes neither of hunting nor target sportsmanship, but rather, and simply, for the purposes of harming other human beings. And those are the ones that, as far as I am concerned, need to be categorically prohibited. 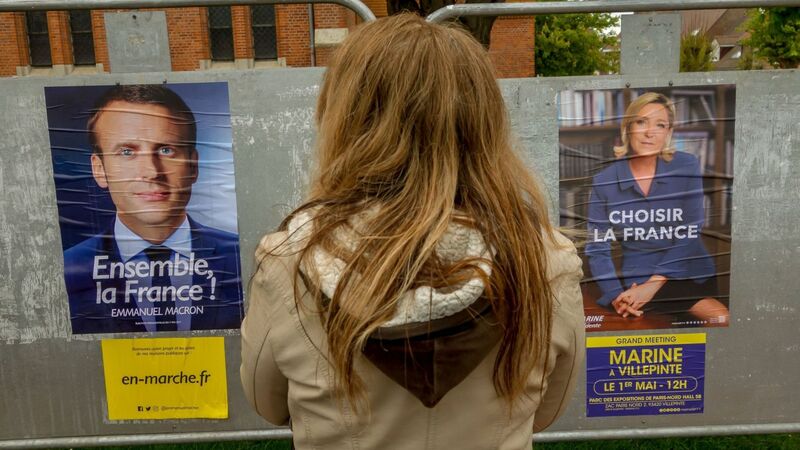 So… it’s between Le Pen and Macron, with the latter expected to win collecting approximately 60% of the votes. I beg to differ on nearly every analysis that I have yet had the opportunity to read. And I similarly disagree with the analysis many have given for either Trump’s victory or so-called ‘Brexit’. I read (and hear) that radicalising shifts have occurred with various explanations given, yet in my reflections this has nothing to do with a rising ‘extreme’ right or left, or indeed a disenfranchised group of out-of-work ‘proletariat’ nor even a growing disparity in wealth between amongst the richest 2% and ‘bottom’ 80%. Personally, I think this is just plain nonsense that uses and imposes post-WWII political views to a world that has significantly changed (in terms of its political climate). So where to sense into the new political realities? The first is the increased ‘red-tape’ in all walks of life, with its dictates as to even seeking to regulate what may or may not be said (such as the ultra-offensive rules against speaking – or writing – content to which someone may take offence, such as being critical of slavery, child sexual abuse or marriage, or discrimination of women if that criticism is levelled against islam or its founder). Brexit, Trump’s election, and Le Pen have all spoken directly against the increasing red-tape and increased controls introduced by existing structures with which the voting public participates (in the case of Brexit, this is what comes from Brussels). The second is closely connected and even more insidious, as it remains as nearly invisible as water is to its swimming fish: the slow and (excuse the pun:) progressive shift from democracy to bureaucracy. Gone are the days when a public service was at the service to the public via the elected government. Increasingly, the reality has been the other way around: the elected individuals are expected to pass legislation prepared by and for the non-elected bureaucrats (inclusive of UN sections along with all too many NGOs) who have the presumed expertise in their respective fields. As a consequence, what we have seen are increased regulations across all areas of life, with correspondingly increased powers and broadening of bureaucracies. It is to the latter that the population is responding, and why both former ‘right’ and ‘left’ (economically determined divisions) voters are re-grouping. 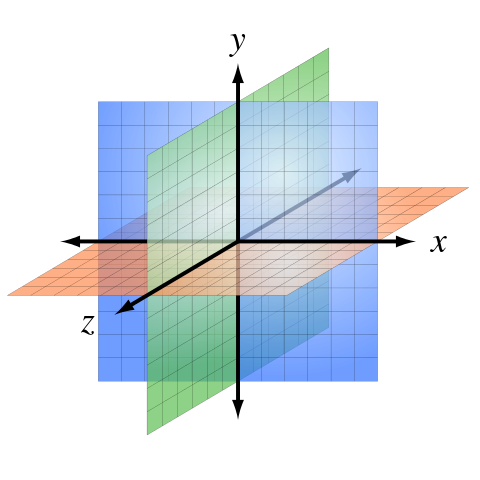 If the ‘left’/’right’ axis can be viewed as the x-axis on the cartesian plane, what is occurring is that, as there has been a move towards the centre from both the right and the left, greater emphasis and importance is being placed on the z-axis differentiation. This is really a (newer) differentiation that leverages regulations within definite (even if shifting) geographical consciousness (to which the economic spectrum is – correctly – oblivious). [I’ll get to the y-axis perhaps another time, which is the sphere of the cultural-artistic-education-religious realm, epitomised by views of the human being as intrinsically essential-individual and spiritual on the one hand, vs potentially interconnected and purely physiological/transhumanist on the other]. So to return to the French elections (and Trump, and ‘Brexit’): Le Pen no longer characterises the far right, nor Macron the far left from the Socialist government from which he emerges. Rather, they each represent the new political landscape: Macron the collective bureaucracy that seeks to ‘protect’ and ‘ensure’ that all are ‘safe and sound’ with ever increasing regulations; and Le Pen the individual striving within the context of a tangible political landscape (i.e., visible borders of the community) in and through which a common valuing and virtue is encouraged and allowed to flourish through individual striving. If there’s been one philosopher that stands out over the course of the past century, it would be John Deely. His voluminous works, all too often criticised for their obtuseness, display an astounding insight that is all too rare in the history of this cenoscopic field: he has provided a way forward from the limited scope and deadlock that the field had cornered itself into with the pervasive modern, structuralist (and derivatives), and analytical frameworks (all, to be sure, inter-related in any case), whilst simultaneously paying due attention to the rich classicist heritage available, which has been too often neglected. John Deely passed through the veil on the 7th of January 2017… I will certainly continue to hold the gifts he has bestowed us in high regard, and mourn the loss of a distant friend. As Anna Fotyga remarked, there is a surprising problem with the term “liberal democracy.” As a defender of liberal democracy as pure as Marc Plattner of the NED has written, there is always a tension between liberalism and democracy, between majority rule and the liberal rules designed to prevent the misuse of majority rule. For myself I would argue that the balance within liberal democracy has tipped too far away from democracy and towards liberalism with more and more powers being transferred from Parliaments that are democratically accountable to the voters — and towards courts, bureaucracies, and transnational institutions that are accountable either to themselves or to no one. To make matters worse, these non-democratic institutions are often driven by opinions very different from those of the voters. And though they begin modestly by correcting those laws and regulations that arguably violate the Constitution, they go on to lay down their own positive laws, i.e., to legislate, if unchecked. The longer this continues, the more that the substance of majority-rule democracy is whittled away and replaced by judicial oligarchy. Maybe we should call this system post-democracy as John Fonte of the Hudson Institute does. This has been one of the most worrying trends in Australian (and other western) society over the past thirty years, exacerbated when the Labor party is in power, and unfortunately only rarely and only ever partially undone when the Liberal party is elected (a more genuine term than ‘wins’). Especially evident of the above has been the increased bureaucratic intrusions in education, and the ever increasing self-promulgated power of these bodies – bodies that also appear to dictate how to provide them with increasing autonomous powers when, again, especially Labor in power. I am constantly astounded by the way in which that which the Left, when in power, unfortunately establishes, is perpetuated when the so-called ‘Right’ gets elected instead. What we have been seeing in Australia over the last few decades is a progressive (as in the former USSR usage of that word) move away from personal autonomy and freedom towards a society ever less democratic and increasingly bureaucratic. In fact, it seems that what is increasingly happening is that elected representatives are taking bureaucracy’s views and passing into law the former’s recommendations, inverting the proper role of public servants to those of determining legislators (and often enacting legislation that permits bureaucrats to make their own rules, altogether bypassing proper democratic principles, as has become all too evident with, as one amongst many examples, teacher registration bodies such as the VIT). Why is it that when the Left is in power, it rules and leads the nation according to its principles, while when the Right is in power, the Left continues to rule and lead according to its principles? And it rules by means of the elected officials of the Right, with virtually no opposition. Why does that happen time and again? The only disagreement I have with him on this only highlights the very reason as to why this occurs: it is not that the Left rules by principles, but rather through policies. This is, in fact, the key distinction that ought to distinguish freedom-oriented individuals and political parties with those who (usually of the Left-oriented variety) step-by-step take society increasingly away from responsible democracy: Principles are what best serves political parties, as opposed to bureaucracies who seek to impose (upon themselves as well as anyone else they can) policies. A political party that falls into the temptation of policy-dominance has already moved away from sound principles of democracy, and into the darkening realm of bureaucratic control and increased red-tape. Perhaps a useful read would be The Master and his Emissary. So what to make of the coming Federal elections in Australia? Here is what I would personally recommend in the Upper House (in those States where candidates are standing from those parties), and the reasons are simple: Section 18C is effectively an islamist notion that should never have made it into Australian law, and should be removed – something the Liberals had presumably intended and yet never followed through; in a similar vein, the bureaucratically inspired nonsense to financially penalise parents who have responsibly looked into associated risks of vaccinations and made a conscious decision to not subject their child to this intrusive medical intervention needs to be repealed – it is in fact an astounding breach of personal liberty and familial responsibility. And for these reasons, I would encourage that votes for the Upper House (Senate) be preferenced to, in the first instance, the Health Australia Party and then the Liberal Democratic Party. In a world where AI passes the Turing test, who gets to vote? Does democracy make sense? Let’s take this a little further… and perhaps take a conceptual look at the kind of political organisation we may aspire to even in a world in which, for example, intelligent conscious beings from another planet or dimension were to be present on Earth (or wherever else we happen to populate). In such a case, perhaps the simplest way to consider the situation is that (should non-humans prefer a different organisational political structure) is for there to be concurrent differences for different entities. The angelic realm are likely not organised according to a democratic model – without this implying that we should, at this stage of our evolution, imitate them in a manner that could only equate to a poor parody. In a world where a so-called ‘AI’ passes a Turing test, this has no political implications for humanity nor does it negate or minimise values of democracy. the article goes on to at least ask the question whether this is good… and we can surmise its answer in light of the view that ‘our lives are increasingly augmented’ and of similar concern is the view that our lives are ‘infused with new digital technologies’! …and this brings me, out of entirely different considerations (it just happens that I was considering these within the same week – and I do not post often) to considerations of Google’s enveloping A-Z company. 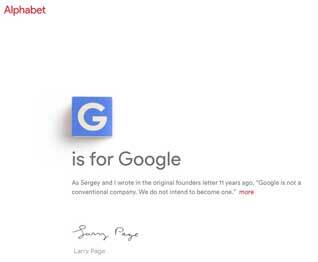 So now the ‘G’ of Google is held within the ‘A’ of Alphabet… interesting idea: one of the highest named number (googolplex) is contained between the Alpha and Omega of the Latin alphabet (of course, the name ‘Alpha-Bet’ stems from the Greek, and thus also implies it) – abc.xyz as domain name makes this clear. 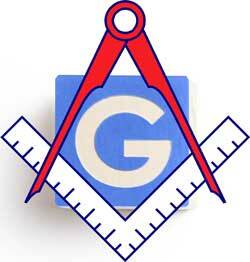 The ‘G’ within an ‘A’, as millions of Freemasons across the (English-speaking) world are used to, stands for both ‘God’ and his ‘Geometry’… and certainly not ‘Google’, as Larry Page states on the very first page of Alphabet (abc.xyz): ‘G is for Google’. Feiglin said that parents who want Rabinain should get Rabinian. Those who prefer Uri Tzvi Greenberg should get him. “Languages, math, science, music and Judaism, of course. All as per parental preference,” he added. “Return the responsibility (and the money) to the parents and get real education for Israeli children,” Feiglin concluded. There are of course numerous reasons that a voucher system to fund school education is of benefit – but even more important than any funding model is the need to augment educational freedom and diversity, away from the asphyxiation of government and bureaucracy tethering. Unfortunately for Australia, the opposite strangle-holding is being increasingly tightened and applauded. Without the freedom to be able to engage and participate in society, there is no true democracy. When a government (whether elected or not, lest we forget that the German Nazi regime was itself elected, as were, for that matter, successive regimes of the former Soviet Union) seeks to remove the freedom to participate unless partaking of particular medications (or equivalent), then a step has been taken that is politically unjust and morally deficient. This is, in essence, the basic problem of the proposed legislation. 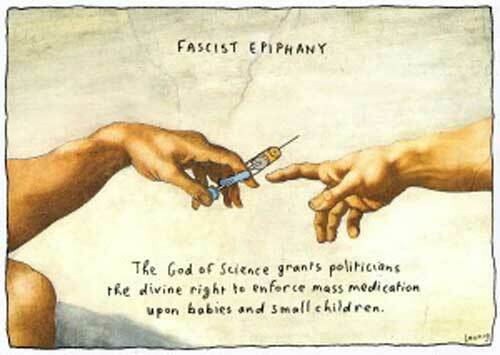 The argument presented is that the ‘science’ points to the benefit for the whole community of global vaccination. That is all well and fine. The basic idea is that in order to render immunity from illnesses that are potentially threatening (with either serious illness or even possible death), vaccination provides an effective means for which the human body may produce antibodies without having to simultaneously fight an attack from a live virus. There is no question about the current understanding of the medical science that advocates for vaccination, and the concerns I raise have nothing to do with speaking for or against the benefits or otherwise of vaccinations. Most people I know, in any case, have partaken of vaccination after looking into its risks and benefits – and on that, to imply that no risks exist is simply false and itself ‘bad science’ (to use the language the government is using). Some responsible adults, looking into the situation, consider the associated risks not worth taking. Alternatively, some consider that the science is itself not fully understood as each iteration of vaccination schedule increases either content or frequency, making its known side-effects plausible conjecture. For others still, there are concerns about ingesting or injecting particular substances for which they may have conscientious objection. Still others consider that healthy human beings, though potentially taking greater risks if unvaccinated, would likely be able to survive an infection subject to their own access to healthy foods and water (that many parts of the world of course unfortunately continue to lack). It is the government’s responsibility to ensure that the views of minorities are respected, even if not conforming to the views of current science. To impose or penalise those who do nothing wrong except not partake of government-imposed injections is mindbogglingly autocratic, and has no place in a western democracy. an organisation in which a managerial elite controls the means of production of educational products, develops new products according what to marketing modelling suggests consumers want to buy and discards those that are failing to sell. Tasks are divided amongst product developers and product deliverers. The process is overseen by supervisors whose task is to ensure quality assurance of the product, so that consumers receive what they have paid for. The power of technology has been harnessed to help develop products that can be consumed online, without the need of any interaction between students and teachers. The phenomenon of MOOCs is the ultimate sign of how far and how deep commodification has become entrenched in education. There is deep dissatisfaction with these neo-liberal developments. What is missing is any conception of education as a formation of human persons so that they develop the virtues and values that they need to not only lead successful lives, but also be responsible members of their communities, working for the common good and acting to transform them into just societies. The notion of human formation as central to education is a hallmark of not only the Catholic intellectual tradition, but also of the Confucian tradition. Religion and culture have a crucial role to play in transmitting the values and beliefs that have underpinned the thought that education is about the initiation of persons into the life of a community and its continuance through the building of just structures and commitment to the common good. It implies a creation of a civil society that can act as a mediator between the power of the State and that of the market. This suggests a much richer notion of education than the neoliberal model. The central question with which the conference will be concerned is the role of philosophy in fostering a renewed understanding of education as the formation of persons and of civil society. The role of the Church in civil society. Other papers may be accepted at the discretion of the Conference committee. 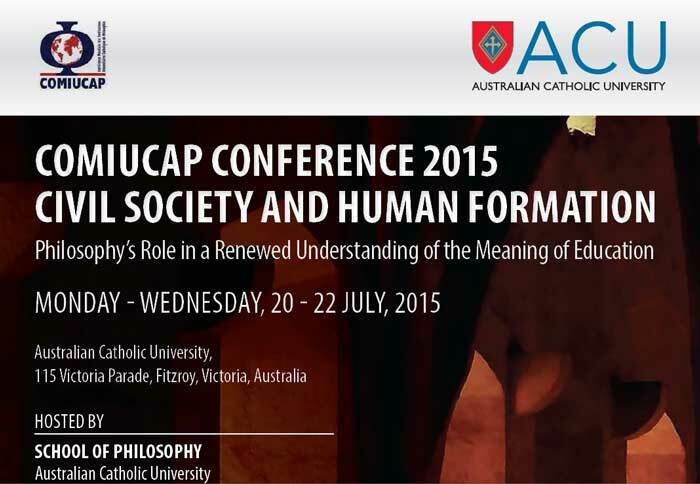 The Practical Role of Philosophy in Teacher Formation: understanding and morality. Teachers daily face fundamental questions pertaining to both insight and to the moral dimension of actions. In addition, teachers, whether conscious or not, have implicit operational views on the nature of knowledge and ethics. There is also, unfortunately, little doubt that all too many non-philosophers tend to undervalue, if not downright negate, the intrinsic importance of philosophy as well as its intrumental role in bringing to light our own developing sense for what has traditionally been considered under the rubric of ‘the True, the Good and the Beautiful’. I argue that unless the teacher develops an ongoing understanding of their own epistemological, ethical and aesthetic views, judgements remain diminished. The paper addresses the practical role of philosophy in addressing how to make more explicit and develop a lasting impression on the importance of insights into epistemology, ethics and aesthetic value. The discussion is framed by, and arises out of, considerations taken predominantly from the works of Rudolf Steiner, Bernard Lonergan, and John Deely and systematically developed in a manner that differentiates between four levels: that of experience; of object-formation; of judgement; and of ethical action.